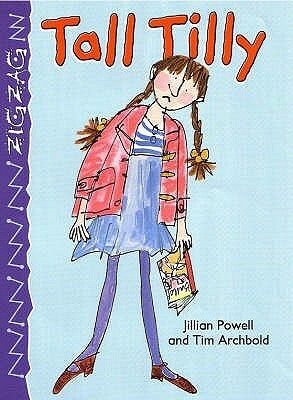 I liked that this book worked to incorporate words that started with the letter t. They didn't over load the book with those words to make it a tongue twister by any means, they had just the right amount to make it a good practice book for readers I think. The illustrations were cute as well. Great book for children who might have some sort of complex about their physique, to make them see that everybody is special and that what you perceive as a problem can be turned into a gift. M really seemed to like this book. About a girl who doesn't like to be tall, but ends up liking it after finding out that she is good at other things.